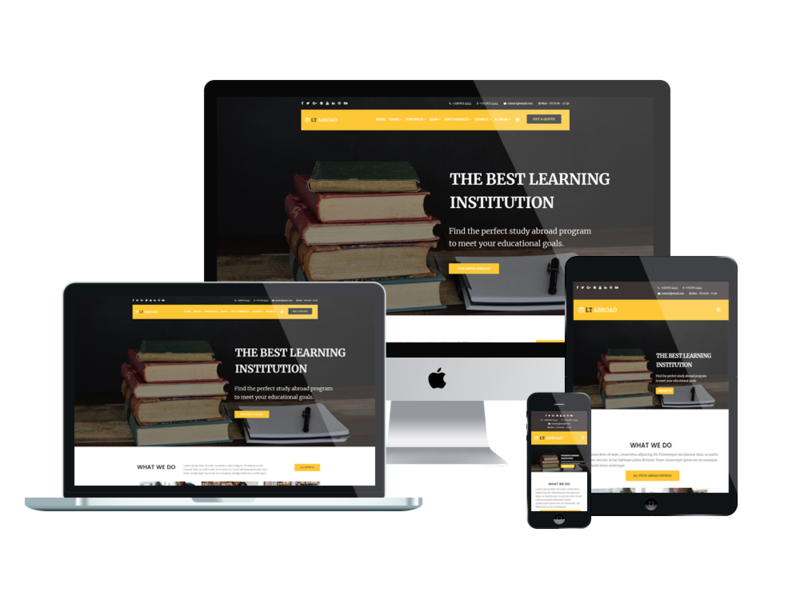 An amazing Joomla Education template will be the best solution for your successful educational consultant business! LT Abroad is a fully functioned Joomla Education template that is specially designed for educational consultant centers to promote itself and improve reputation. Developed on the latest version of Bootstrap CSS Framework, integrating with Google Font , this theme brings you the best look of a professional education centers. LT Abroad comes with the great content organization, with many sections you can use to introduce all of your center information as well as advertising attractive courses in a stunning way. This theme also provides you with a powerful Contact Form that your customers can use to keep in touch and get the newest update from your centers. The Joomla Education template is fully adapted with all mobile devices with 100% responsive layout, clean and stylish. 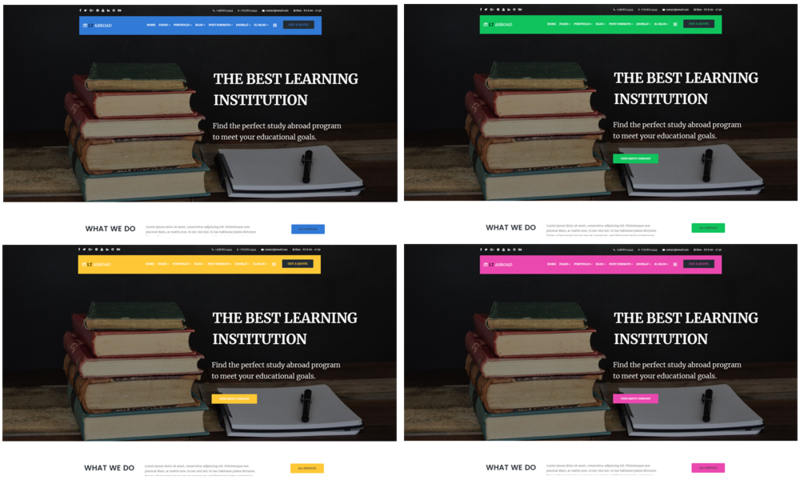 Besides, 4 color styles and boxed layout are also ready to help you create the best appearance for your site without wasting your time and effort. No more hesitation, come and get it now! The template supports mobile devices with responsive layout. It also provides 4 boxes layout and background, help you present and choosing layout for your website. This template builds with 4 color styles. If you like another color without 4 default color styles, you can change it via Template Settings easily with unlimited colors based on Color picker Tool. Yes, all templates suppor multi-language, so you can use our template to build a website with multi-language support. We recommend you use Falang extension as best multi-language support plugin, it’s FREE and strong platform to build multi-language. We provide QuickStart package which you can install to get demo data like our demo site. This package use Akeeba Backup to build, and you can restore it based on Akeeba Kickstarter easily. Just run file ‘kickstart.php’, more details about this, please read our blog instruction about this at here. What Joomla! version do you support? Our templates are compatible with Joomla! 2.5 and Joomla! 3.x. We strong recommend you use Joomla! 3.x for your new website, so our Quickstart package only create for Joomla! 3.x. We keep latest update for our template with latest Joomla! version. [HAPPY LABOUR DAY!] Grab 50% OFF for PRO License and Membership! Limited time on today => Get Coupon Code now!